Finance Minister presented his tenth budget on Thursday. 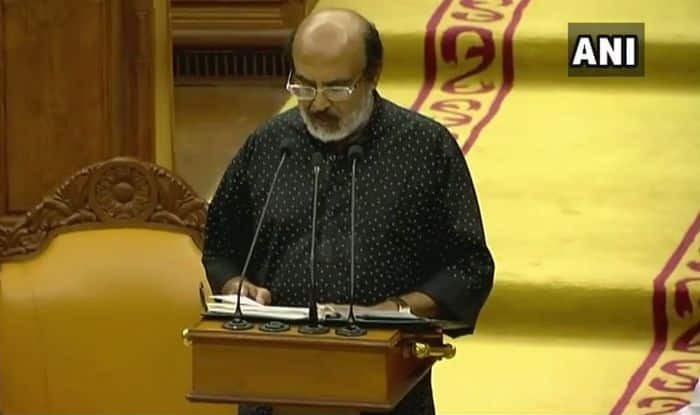 Thiruvananthapuram: While presenting the state budget for 2019-2020, Kerala Finance Minister Thomas Isaac assured on Thursday that no cuts would be made in expenditure to tide over the financial crisis, said reports. One of the most significant features of the budget was an integrated health scheme which the minister said would be launched this year itself. Flood cess of 1% on items under 12 %, 18% and 28% GST slab. 10% entertainment tax on movies. Additional 2 per cent tax to be applied on alcohol. Gold silver ornaments to attract 0.25% cess. A 6% sales tax would be slapped on earnings between Rs 20 lakh and Rs 60 lakh. GST revenue has been raised to 30 per cent. For Sabarimala, a Rs 739 crore fund has been allocated. Rs 200 crore has reportedly been put aside for Sabarimala road development. Rs 100 would be given to Travancore Devaswom Board. Similarly, Cochin and Malabar Devaswom Boards will get Rs 36 crore. For Pamba and Nilakkal, there is an improvement fund of Rs 148 crore. For state tourism, Rs 278 crore has been earmarked. The integrated health scheme would ensure insurance coverage for all families, said reports. A Rs 25 crore fund would be for assisting NRIs who have lost their jobs. Rs 20 crore has been earmarked for a hunger-free Kerala. Rs 12 crore has been allocated to E-mobility fund; the state would get 10 lakh electric vehicles by 2022. Schemes announced to double Wayanad farmers’ income. Rice and rubber sector gets 700 crore. About 10 lakh saplings to be distributed under the Kergramam project. Rs 10 crore earmarked for pepper cultivation destroyed in flood. Rs 2 crore put aside for women empowerment schemes. This is the tenth budget presented Isaac, an MLA from Alappuzha.